For those of you who aren’t aware, this year marks the 50th anniversary of the Rankin/Bass Rudolph The Red-Nosed Reindeer holiday special which airs annually on CBS. It’s a holiday special that I’ve always found unsettling. 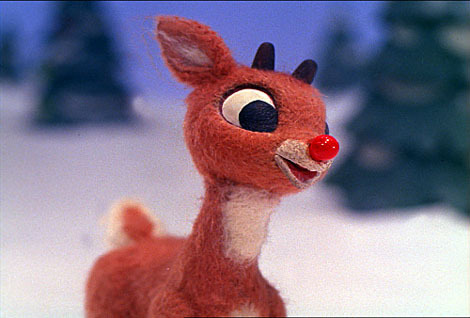 Each year we would watch the animated classic of Rudolph. There was always something disturbing about the story. It wasn’t until last year when I came to the epiphany that the tale is a metaphor for minority plight. You see Rudolph represents the Other (insert minority of your choice). An individual who was born different from those in power. And rather than being respected as a peer, he was ridiculed, denigrated, and kicked off the North Pole. Where Santa was and why he didn’t “rein” the bigots in is beyond me? After all this is the man who makes a list and checks it twice, trying to find out who’s naughty and nice. So quick to judge our children, but can’t practice what he preaches. Even though he was in a position to do the right thing, he chose to do nothing… Then again, when you look at the discrimination minorities face, this is pretty typical of too many Caucasians. 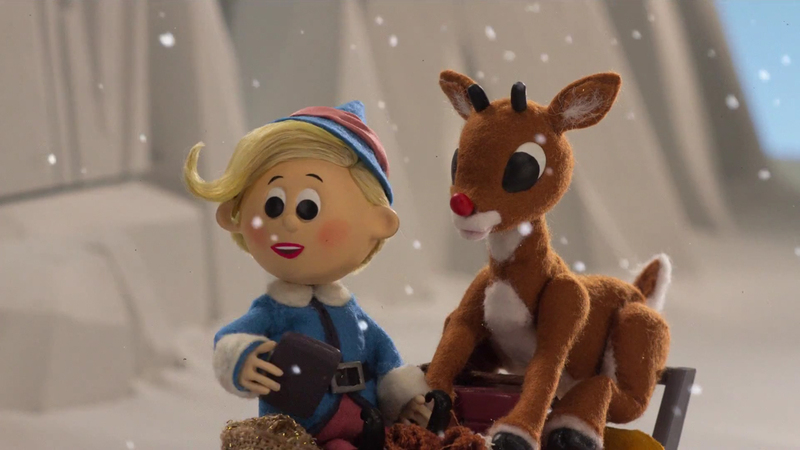 I could also use the time to discuss that my affinity for Rudolph’s BFF Hermey should’ve been my first clue that I drove stick (perfect hair, different, a misfit, elf, oral fixation, cute blond), but that’s another discussion for another time. And by the by, I’m here for the Misfits. We all know the story about the foggy Christmas Eve, Santa asked Rudolph to lead his sleigh and save Christmas with his bright red nose. Rudolph does so and he finally wins “love” from the other reindeer who accept him for the same thing he was discriminated against in the first place. There’s a serious problem with this. Personally, I would’ve told Santa which part of my red-nosed anatomy he and the others could kiss. Because of all of the hatred and humiliation Rudolph endured, he would’ve been well within his rights to do so. I’ve discussed this before with others and in response I was told “he would need to get over it” or “stop being so sensitive.” Not unlike what is told to me and other PoCs every time we’re on the receiving end of an attack by white supremacy. Get over it. Cute advice. I often wonder if that applies to white southerners regarding that Civil War business. I think that’s a major part of the problem. Bigots and the privileged majority have gotten accustomed to marginalized people “rising above,” “being the bigger person,” and “getting over it.” In other words, they don’t have to reap any consequences for their actions. More than that, a POC being the “bigger person” is being the punching bag for bigots. Maybe Christmas should have been canceled. Kids would’ve been disappointed, sure, but Santa and the reindeer would’ve learned that bigotry always comes back to haunt the bigot, as history has proven time and time again. Maybe the following year Santa and the reindeer would’ve learned. Maybe the whole would would have learned. The other thing that comes to mind for me is that I can’t help but wonder: did the other reindeer accept Rudolph because they realized they were wrong or because they realized he could be of use to them? Because if that isn’t the minority metaphor, I don’t know what is. You see when you’re the other, you get treated as a pariah until you prove yourself as an asset worthy of some modicum of respectability. You’re an icky colored unless you’re exceptional in sports, can dance and rap and sing, or your culture includes martial arts and anime. Or better yet, when you’re the Other, maybe you’ll get to be president if we’re desperate enough to sit our racism aside and as long as you meet all unreasonable expectations and play Santa Claus and be all things to all people within less than a year. From Rudolph’s plight we learned that when you’re the Other, you’re treated as inferior only until you prove yourselves as actually being superior and an invaluable asset, then and only then, if you’re lucky will you get treated as an equal… maybe. Funny, the things we learn from cartoons. I’m really glad you posted this. Last year my youngest son discovered Rudolph the Red-Nosed Reindeer, and watching it again as an adult (and as a long-time LGBTQIA “ally”) I thought, “Holy crapsicles, is this a metaphor for homosexuality?” Watching it 20,000 times already by December 1 of this year I came to nearly all the same conclusions that you just posted. I mean, Donner putting dirt on Rudolph’s nose to cover it up? Come ON. While on the one hand I’m glad the misfits in this movie are there to show kids that they are special no matter what, on the other hand I can’t help but think that you might be right in that it’s also showing the white, male, cis-gendered, heteronormative audience that it’s OK to be cliquey, and even to bully anyone who isn’t exactly like you, until that person proves useful or entertaining somehow. What about the abominable snowman? Everyone is scared of him until Kirby renders him toothless, and then he’s useful only for putting the start on the tree (because Santa doesn’t own a ladder?). Even when I was a kid I had issues with this. Probably because I identified with the elf. Great article.